synonym　Solanum photeinocarpum Nakam. et Odash. synonym　Solanum surattense auct. non Burm.f. 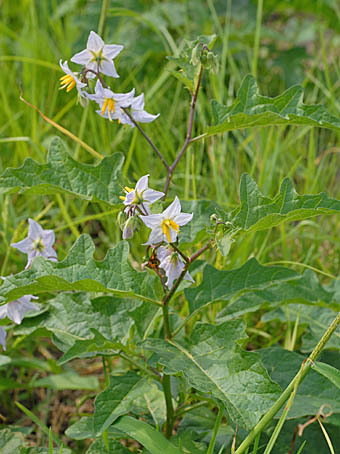 synonym　Solanum xanthocarpum auct. non Schrad. et Wendl. synonym　Solanum aculeatissimum auct. non Jacq. 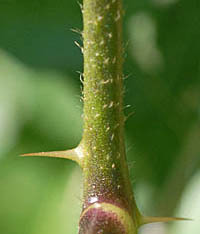 synonym　Solanum verbascifolium auct. non L.
synonym　Solanum ferox auct. non L.
synonym　Solanum lyratum Thunb. f. leucanthum (Nakai) Sugim. synonym　Solanum indicum auct. 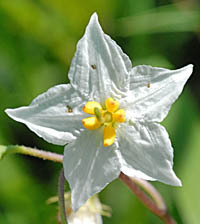 non L.
synonym　Solanum pseudocapsicum L. subsp. 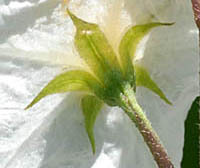 diflorum (Vell.) Hassl. synonym　Solanum americanum auct. non Mill. synonym　Solanum suffruticosum auct. non Schrousboe ex Willd. synonym　Solanum incanum auct. 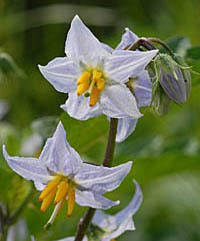 non L.
synonym　Solanum nigrum L. var. 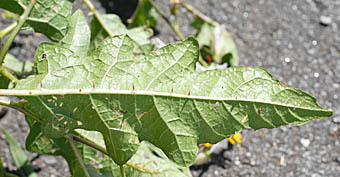 villosum L.
synonym　Solanum nigrum L. var. miniatum (Bernh. ex Willd.) Fr. 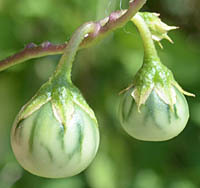 synonym　Solanum anguivi auct. non Lam.